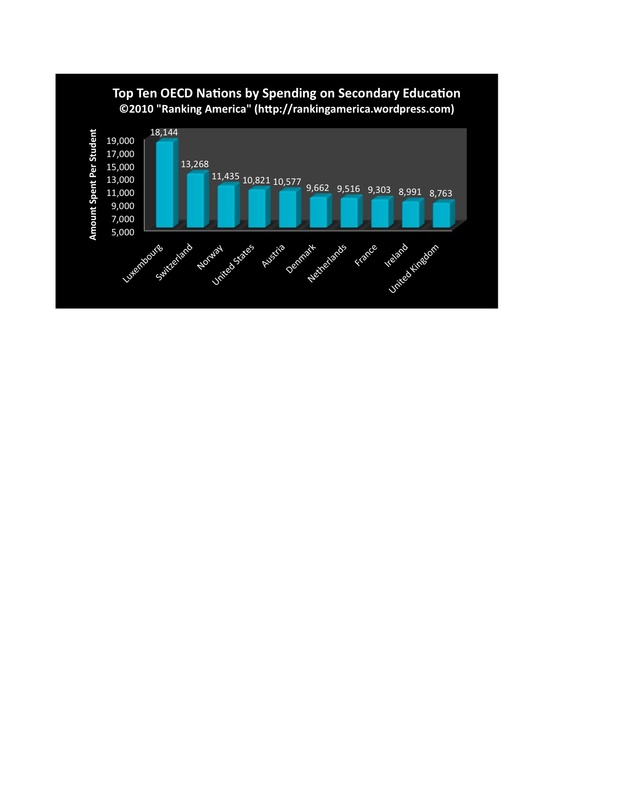 According to data gathered between 2000 and 2006 by the World Health Organization, there are 249,642 pharmaceutical personnel working in the United States, which is enough to make the United States rank third in that category. 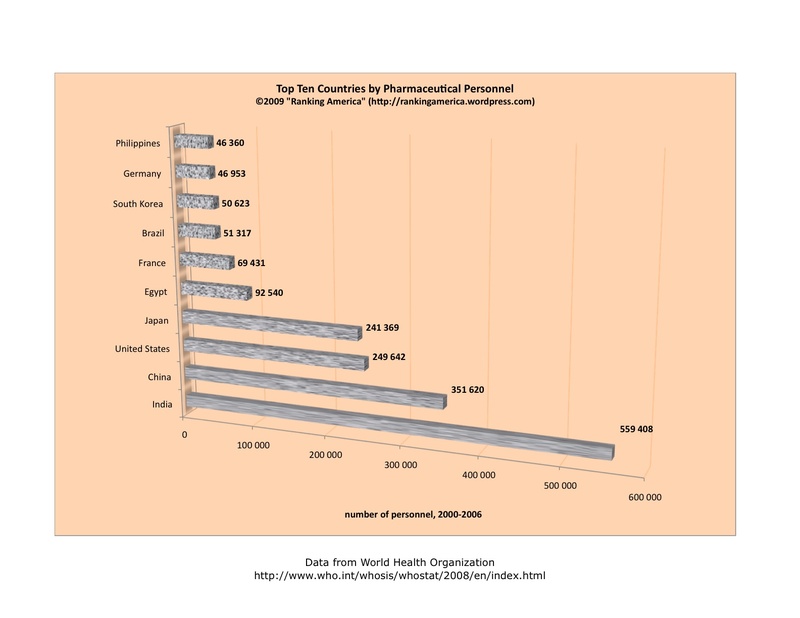 India ranks first with 559,408 pharmaceutical personnel. 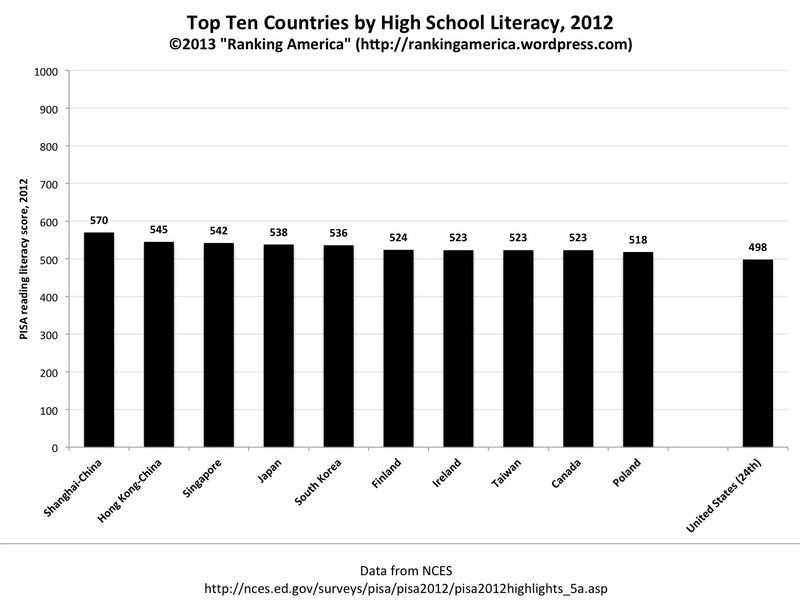 According to the Programme for International Student Assessment (PISA), in 2003, fifteen year old students in the United States had an average literacy score of 495 out of 1000, which made the United States rank eighteenth out of forty nations. 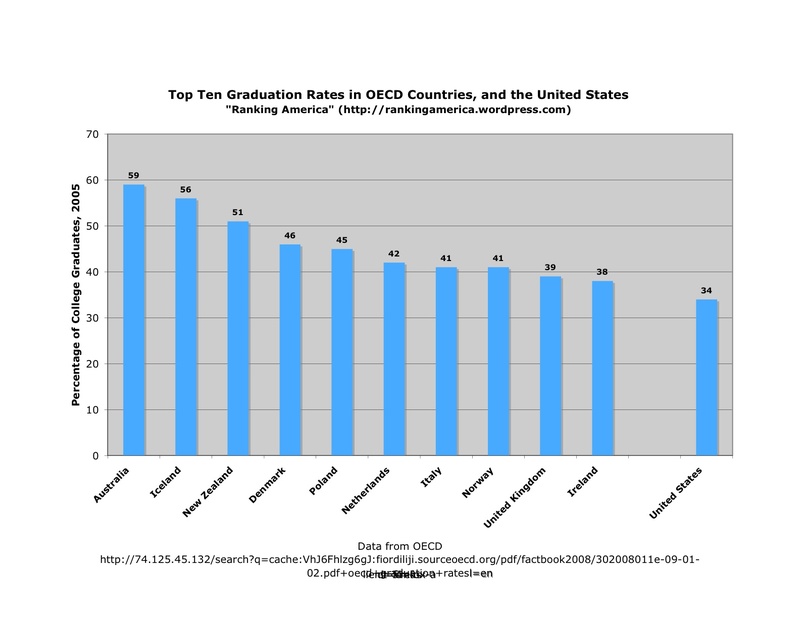 Finland ranked first, with an average score of 543. 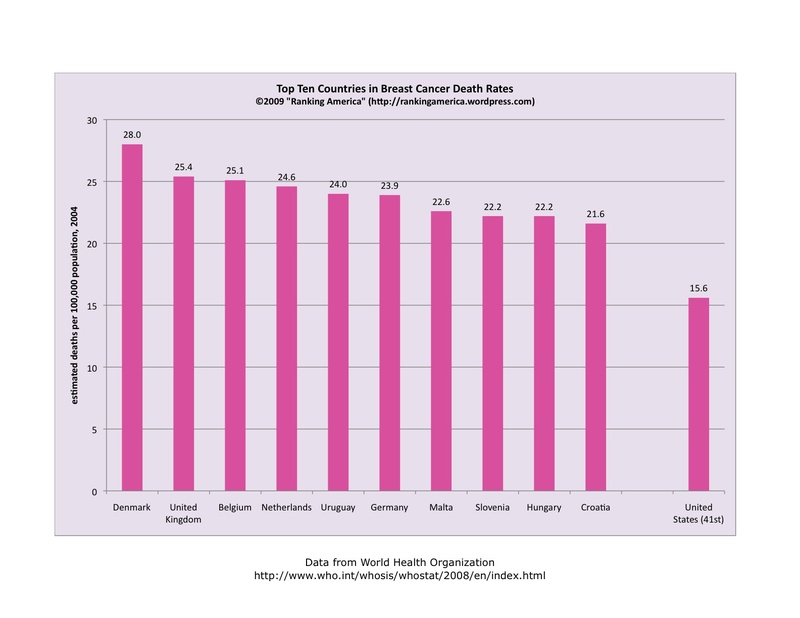 According to a study published in The Lancet Oncology in 2008, the United States ranks second out of thirty nations in the five year survival rate for women diagnosed with breast cancer. 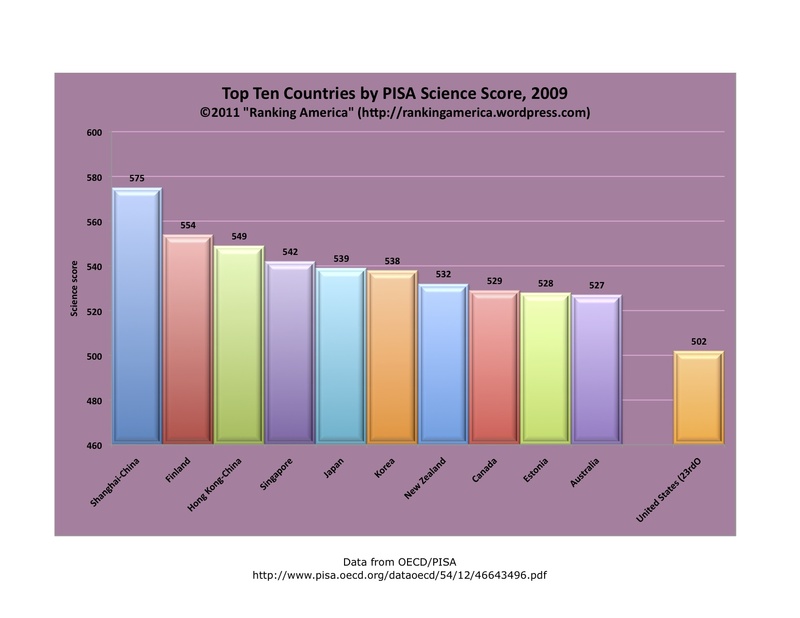 Cuba ranks first. According to the World Health Organization, in 2004 an estimated 15.6 out of every 100,000 Americans died of breast cancer, which makes the United States rank forty-first in that category. 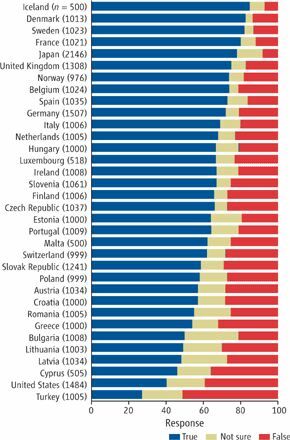 Denmark ranks first, with an estimated 28.0 deaths per 100,000 people. 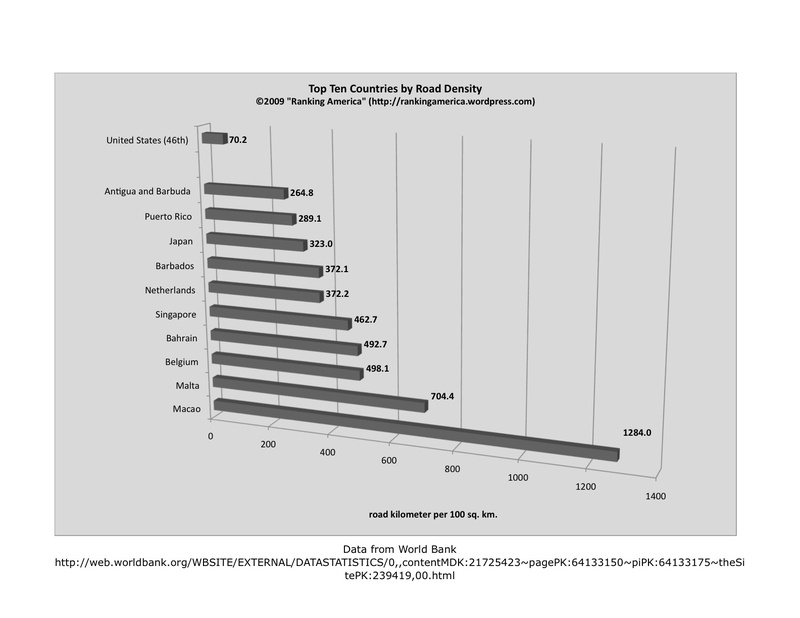 According to the World Bank, there are 70.2 kilometers of roadways for every 100 square kilometer of land in the United States, which makes the United States rank forty-sixth in that category. Macao ranks first, with 1284.0 kilometers of roadway for every 100 square kilometers of land. 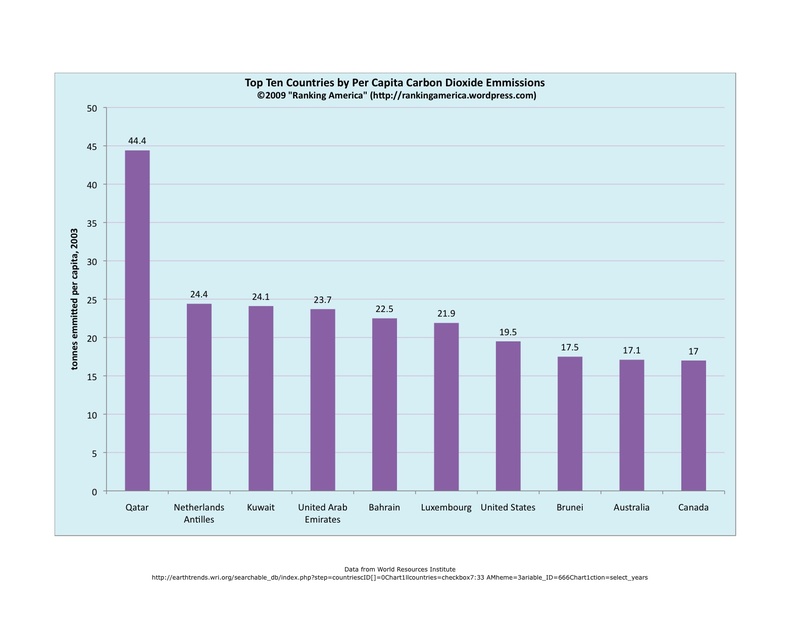 According to the World Resources Institute, in 2003 the United States emitted 19.5 tonnes of carbon dioxide per person, which made the United States rank seventh in that category. Qatar ranked first, emitting 44.4 tonnes per person. 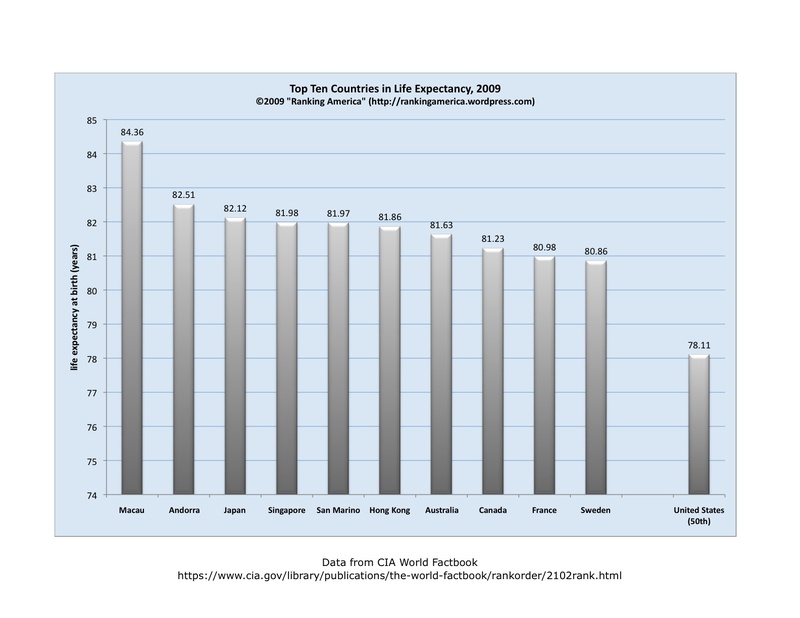 According to the CIA World Factbook, life expectancy at birth in the United States is 78.11 years, which makes the United States ranks fiftieth out of 223 nations in that category. Macau ranks first, with a life expectancy of 84.36 years.